AnyIndo - In this article we're gonna share an article it is Custom ROM Micomax A74 For Evercoss A7s. In this article we just wanna give you the link to download this cool custom ROM but we don't give yet the instruction to install it. 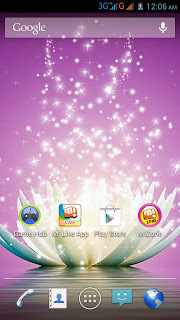 If you're newbie in installing custom ROM, you need to download then wait until we help you to install this custom ROM. But if you are senior and understand how to install custom ROM, you may try this custom ROM without any waiting for our tutorial. A74 is the name of cusrom ROM, so it doesn't matter A74 and A7s. Then Fix Camera is a file to fix bug on camera. You can use Walkman to get better music. Belum ada tanggapan untuk "Custom ROM Micomax A74 For Evercoss A7s"